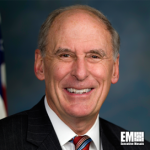 President-elect Donald Trump is set to nominate Dan Coats, a former senator from Indiana, as the next director of national intelligence, Reuters reported Thursday. Steve Holland writes the official announcement of Coats’ nomination is anticipated this week. Sen. Richard Burr (R-North Carolina), chairman of the Senate Intelligence Committee, told reporters Coats has the experience and leadership skills “to understand what that role entails,” the report said. Coats previously served as U.S. ambassador to Germany under former president George W. Bush. He practiced law in Fort Wayne, worked as a special counsel at law firm Verner, Liipfert, Bernhard, MacPherson and Hand and served in the U.S. Army. Current DNI James Clapper tendered his resignation in November, which will take effect when President Barack Obama’s term ends Jan. 20.